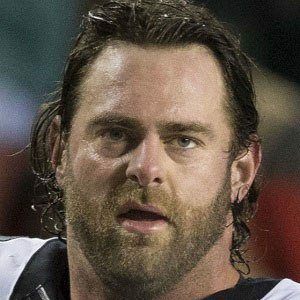 Long-time NFL offensive guard who was named to his first Pro Bowl team during his 2013 All-Pro season with the Philadelphia Eagles. He was a heavyweight state wrestling champion while also playing on the offensive line at Homewood High School. He was drafted 79th overall by the Panthers in 2005 after being an All-SEC selection at the University of Alabama. He has a daughter with his wife Katelynn. He is the nephew of former NFL defensive lineman Bob Baumhower. He was on the 2013 All-Pro Team, joining running back Jamaal Charles.